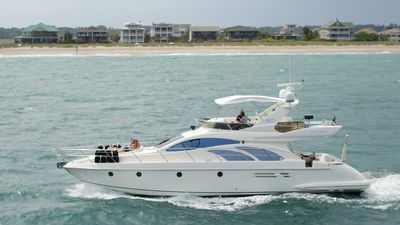 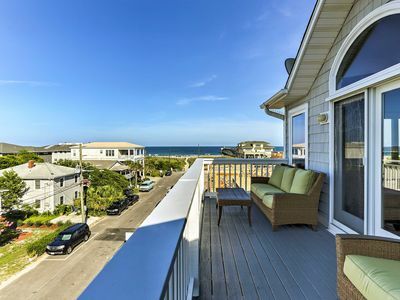 Beachcomber offers the best for your Wrightsville Beach vacation. 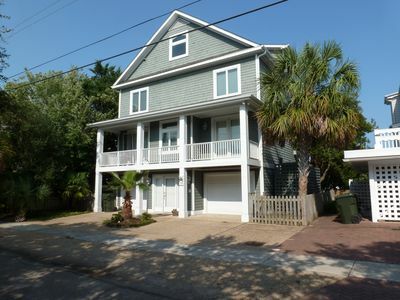 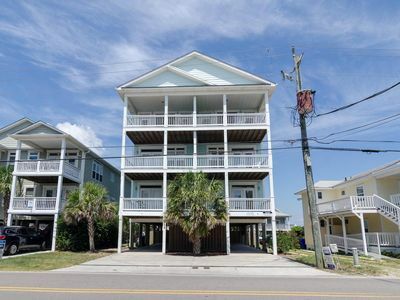 This 3 bedroom, 2 bath duplex is located on Henderson Street and is walking distance to Johnny Mercer pier, shopping, restaurants, and more. 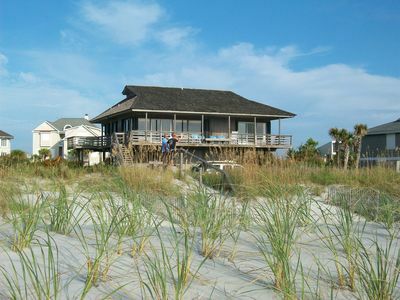 Enter the property and find yourself in the middle of it all. 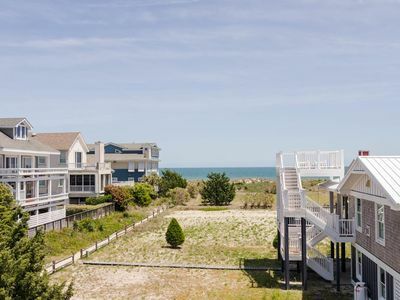 The open floor plan offers easy access from the living area, to dining area, kitchen and ocean side deck and makes family entertainment a breeze. 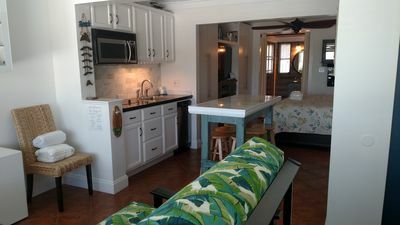 The kitchen is fully equipped with top of the line stainless steel appliances, granite countertops, and an island sink. 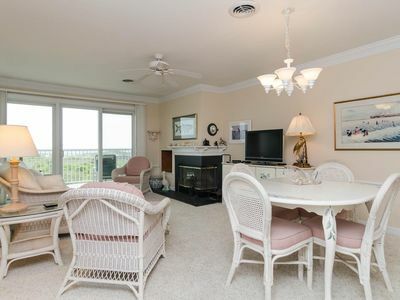 The dining area offers seating for 6 and is surrounded by windows, allowing lots of sunshine to come through. 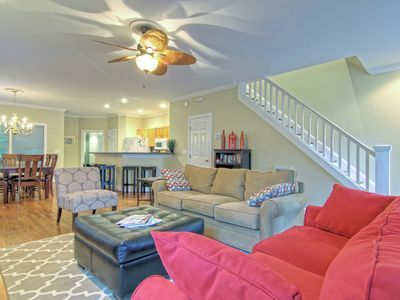 The living area provides a very comfortable place for family and friends to gather. 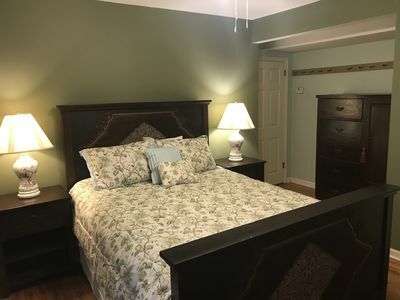 It features overstuffed furniture, flat screen TV, surround sound, stereo, and gas fireplace. 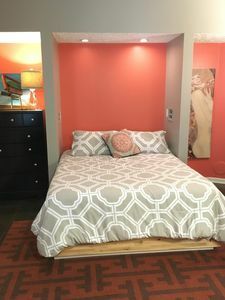 Step down the hall and find 2 guest bedrooms with a shared bath and a master bedroom with a king size bed. 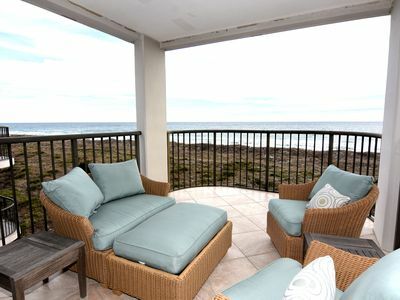 And last but not least, enjoy the cool ocean breezes and watch the "loopers" go by on the Oceanside deck. 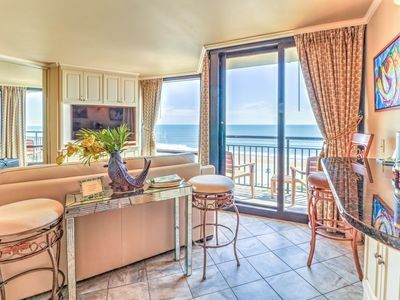 Your family is sure to finds its vacation treasure at Beachcomber! 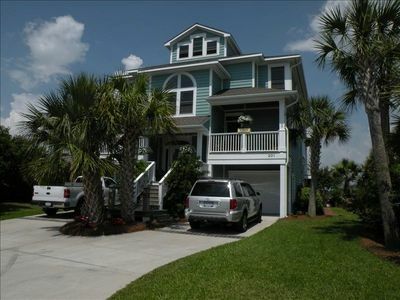 Oceanfront Haven! 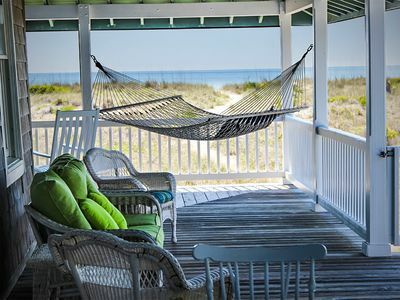 This classic beach cottage provides the perfect getaway. 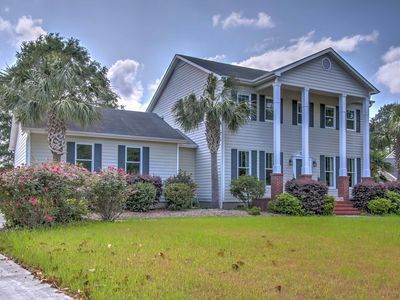 Private Wilmington Home w/Large Backyard on Creek! 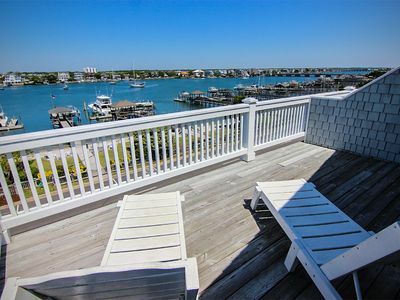 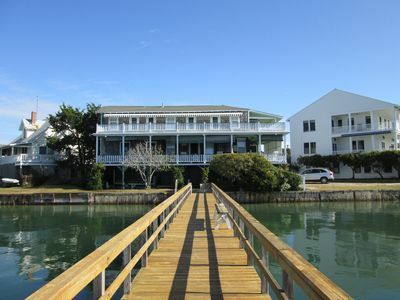 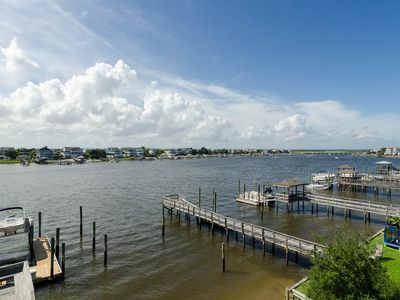 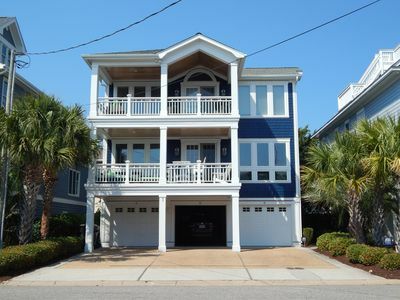 Beach beauty and delight in life by the water on Wrightsville Beach!